Founded in the fall of 1989, Another Octave: Connecticut Women’s Chorus (AO:CWC) celebrates our choices and experiences through the power of music. An auditioned chorus with roots in the lesbian community, we are open to all women and encourage diversity. Another Octave performs an eclectic repertoire, including standard concert pieces as well as traditional and contemporary music that reflects women’s lives. Together, we work for musical excellence and perform for the pleasure of our audiences and ourselves. with Another Octave: Connecticut Women’s Chorus where she had served as Assistant Director since 2003 and performed since 2002.
music education, and the visual arts. 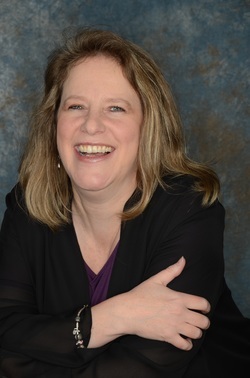 For 25 years, she has been a certified teacher of music in both Connecticut and Illinois. ​an online service specializing in music arrangements, re-voicing, and engraving. ​A professional singer since 1982, Kris is a member of Actors’ Equity Association (theatrical union), SAG-AFTRA (film/television union), and the Dramatists Guild (as a playwright). Kris has acted, sung, and danced in 40 states and 10 countries, performed in regional theatres and on several Broadway National Tours, worked as an entertainer on a cruise ship, sung for the president of the United States, and starred as Eva Peron in two international tours of Evita. She was also a cast member of the PBS news magazine series In the Life. Connecticut appearances include the Oakdale Theatre and both the Rich Forum and the Palace Theatre in Stamford. Kris has also directed and musical directed numerous shows from Maine to New Jersey. ​Yale New Haven Hospital, and is happy to have been a part of Another Octave since 2003.